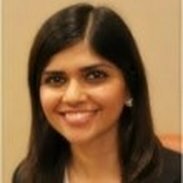 Hetal Doshi is an Organizational Psychologist, Certified Professional Coach and a Certified Trainer. She holds a Masters in Organisational Psychology from Macquarie University (Sydney) and a Bachelors of Arts majoring in Psychology from National University of Singapore (Singapore). She is also certified in several Psychometric Tools and Systems. Hetal has been in the Human Resources Consulting & Training business for several years with a focus on consulting, training, coaching, psychometric testing, developing assessment centres, talent development, outplacement and crisis consulting. She has worked successfully in countries and cities including Bangladesh, Hong Kong, Jakarta, Mumbai, Perth, Singapore, Shanghai, Sydney and Thailand. Hetal's clientele include Bank Negara, Bank Muamalat, HSBC Bank, AmBank, Bank of China, iCIMB Sdn Bhd, Etiqa Takaful, AmAssurance, Monash University, Air Asia, Johnson & Johnson, Malakoff, UPECA, Astro, iPerintis, Infineon, Averis, GFK, Silterra, Ministry of Home Affairs (Malaysia), MIDA (Malaysia), Health Promotion Board (Singapore), Royal Malaysian Airforce, Imigresen Malaysia, Sarawak Energy, Technip, TM Net, Woman's Aid Organization, Nursing Professional Group, Malaysian-German Chamber of Commerce, MISC, CMA CGC, DHL, Jabil, GE, Givaudan and 1 Utama.